“When the going gets tough, the tough move their systems to the cloud” is the mantra of the modern company, irrespective of the industry they belong to. 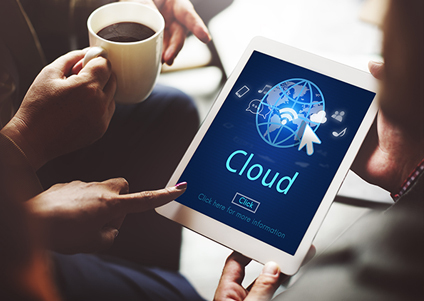 The ability of cloud-related technologies to promote resourcefulness, productivity and cost efficiency has convinced enterprises to actively embrace its inevitability. With the industry opening up to many new private cloud players, it is now easier than ever for organizations to realize that much needed cloud upgrade. Our cloud consultation services will help you in understanding the status quo, evaluating the options with the service providers and creating a process and product transition map. Our implementation efforts would ensure that your carefully-crafted cloud design plan is adequately supported with infrastructure requirements and regulatory procedures in place. Our team of highly skilled engineers will ensure that you have your systems, projects and processes in the cloud in no time. We also help you in storage and access controls by developing a comprehensive disaster recovery and business continuity plan. With our extensive expertise in support services, we provide a rigorous and dedicated approach to maintain your organizational assets in the cloud 24*7. Cloud Agility – The What? and The Why? How to slash down your cloud infrastructure cost using Azure VM Automation?